As part of my bloggers bake off challenge with Helen and Jenny, I was recently sent some mixed spices from Steenbergs to help create a wonderfully smelling and tasting bake. I am not the hugest fan of mixed spices and I will admit to doing two batches after having a reaction to the spices on my first attempt! I made a plain batch for myself and a mixed spice batch for anyone who wanted them. Both taste very nice indeed and I am actually a bit gutted to not be able to eat the spiced banana cupcakes. 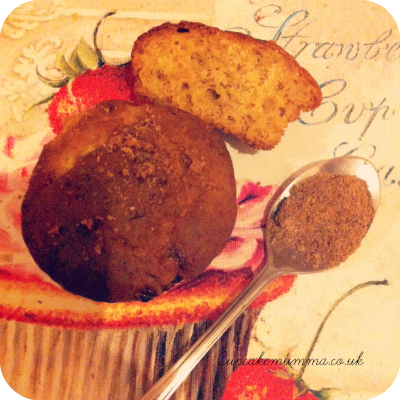 Whether you'll be using just banana or the mixed spice as well, I hope you enjoy this recipe. I am the opposite I like mixed spice but dislike bananas. However I am starting to like them in cake so these might be ideal for me!